SilverStone is a company that likes to do things a little differently. Boring chassis are circumvented for more premium models where some real thought has gone into the design. Those in the market for quality chassis can do a lot worse than go for any one of a number of cases from the Taiwanese outfit. But what can any manufacturer do to spice up life in the staid, boring PSU? Well, some have gone for the bling factor with RGB lighting, but that's not how SilverStone rolls. 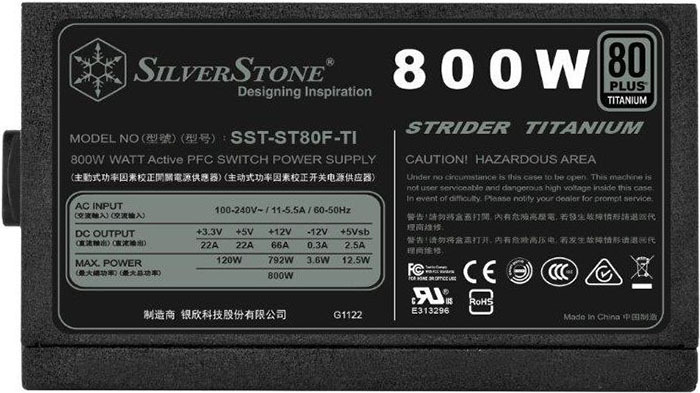 Instead, headlining its 80 PLUS range is the Strider Titanium PSUs between 600W and 800W. So what's special other than the upgraded specification in line with other guys plying the same market? The answer is that, other than the crazy-high Titanium efficiency, SilverStone shoehorns each supply into a chassis smaller than the competition, ostensibly for enthusiasts looking for the best performance in more compact cases. The trio of new Striders measure 150mm wide, 86mm high and, crucially, only 150mm deep. Sure, most modern chassis are designed for full-ATX supplies, yet SilverStone gives you some wiggle room for better cable management. Best of all, there's no obvious price premium for going a little shorter, as is the case here. Here's the 800W model up close and personal. 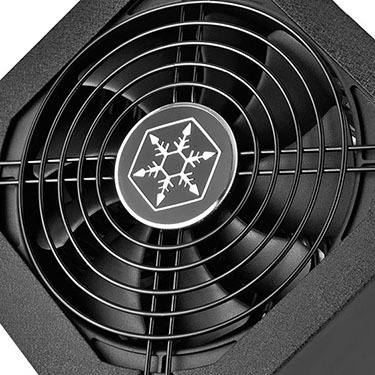 Retailing at £140, the price is consistent with top-tier Platinum supplies such as the EVGA P2 and Corsair HX850i, and cheaper than, say, the be quiet Dark Power Pro 11 of similar capacity. The defining factor in SilverStone's favour is the Titanium rating, which mandates a minimum of 90 per cent efficiency at 10 per cent load. The 150mm depth is 30mm shorter than what we usually see, and it shows, quite obviously, when you handle the supply, though last year's equivalent models were smaller still, at a 140mm depth. 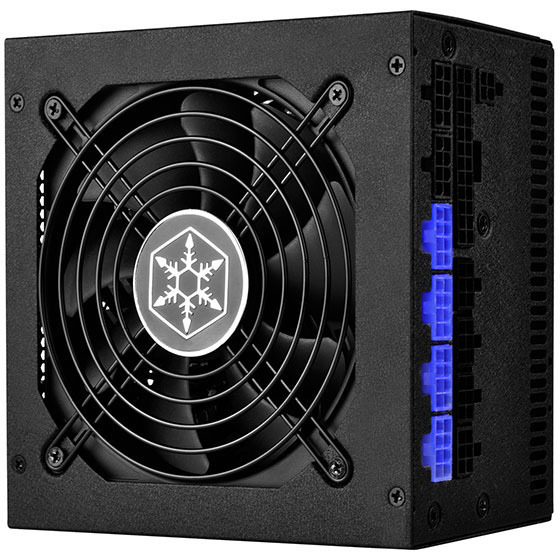 Weight is rarely an issue with PSUs yet the SilverStone is about 20 per cent lighter than the aforementioned comparisons, meaning it shaves off 500g from the likes of Corsair - helpful to know if you're lugging a smaller system around a LAN party. The company is actually fond of quoting how much power you get per litre - 413W in this case. 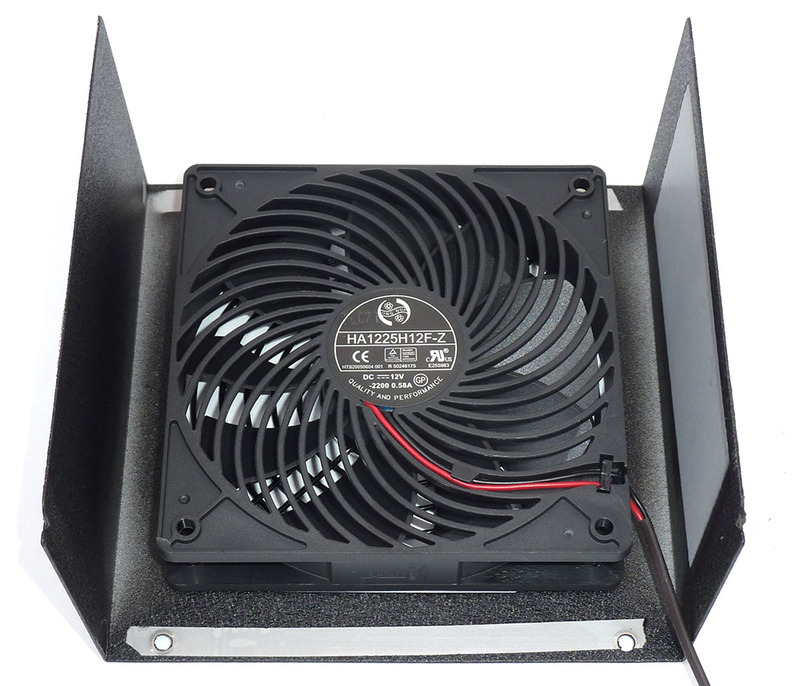 A downside of a smaller chassis is a 120mm fan opposed to the 140mm fans routinely present on the competition. It remains on at all times, running at 650rpm until mid-load and topping out at just under 1,000rpm at full chat. The fan is a popular temperature-controlled FDB-bearing 120mm model identified as HA1225H12F-Z, also present on a number of supplies that have passed through the labs in recent months. The reason for not having it semi-passive is due to the Titanium rating that requires super-high efficiency at low loads. These kinds of PSUs are all outfitted with modular connectors, and it's easy to see where the graphics connectors go. 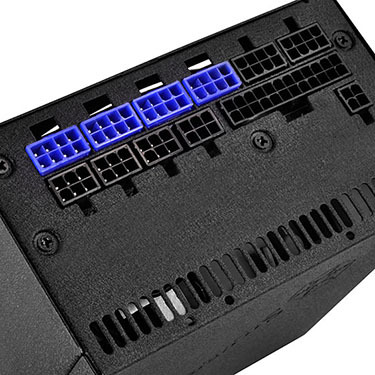 All in all, SilverStone adds the regular 24-pin cable, 2x 8-pin CPU, 4x 8-pin PCIe, 12x SATA and 3x Molex, with a floppy attached on the end. Lengths are good, the cables are black, flat and easy to push through the holes in a motherboard. The package also includes matching Velcro ties to keep your build tidy, and the supply is compatible with SilverStone's short-cable kit. The salient point here is that this is a single 12V rail supply and, as usual, almost all the capacity can be fed down this bigger line. 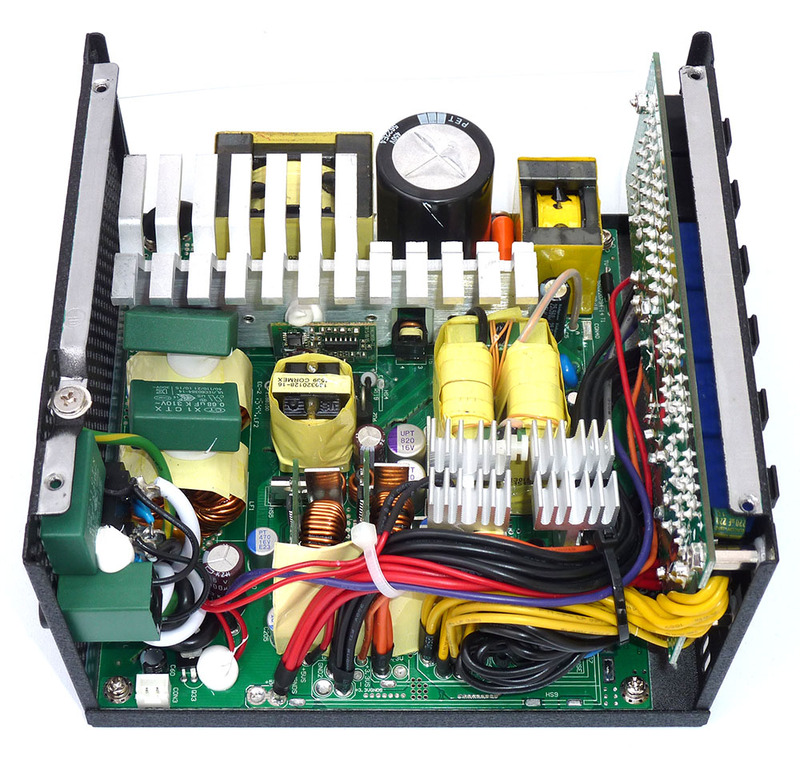 There are no surprises with the 3.3V and 5V lines, and the supply has the usual raft of protection from too much or too little voltage or current. Having a peek inside shows that the supply looks very much like an Enhance-built model. The smaller-than-usual size means components are located closer together than on, say, a Corsair or EVGA, and one upshot is that SilverStone rates the new breed of Strider Titanium at an ambient 40°, not 50°C seen elsewhere. This doesn't have a huge impact on the usual day-to-day running, of course, but it's an obvious compromise when going for the world's smallest supply of this ilk. The three-year warranty is pretty standard for SilverStone. However it's significantly shorter than the aforementioned pair who offer seven and, potentially, 10 years, respectively. A tidy unit whose main claim to fame is a smaller chassis, primed for mini- and micro-ATX builds, let's run the numbers.